It’s no secret that video has become a central part of our everyday media consumption. With its growing popularity, video marketing is now one of the most influential media in attracting, engaging and converting customers.The latest Nielsen Global Trust in Advertising Report says that 48% of consumers trust online video ads. A recent Cisco study also predicted that video traffic would take up 82% of all consumer traffic by 2021. Given this knowledge alone, it’s pretty clear why your business needs a video marketing strategy. But what exactly does this mean for your brand? What are the unique opportunities of video marketing that can help market your brand more effectively than other non-video formats? What types of video are right for my marketing campaign? What are the best practices in running effective video campaigns? How can I measure the results of all this work? 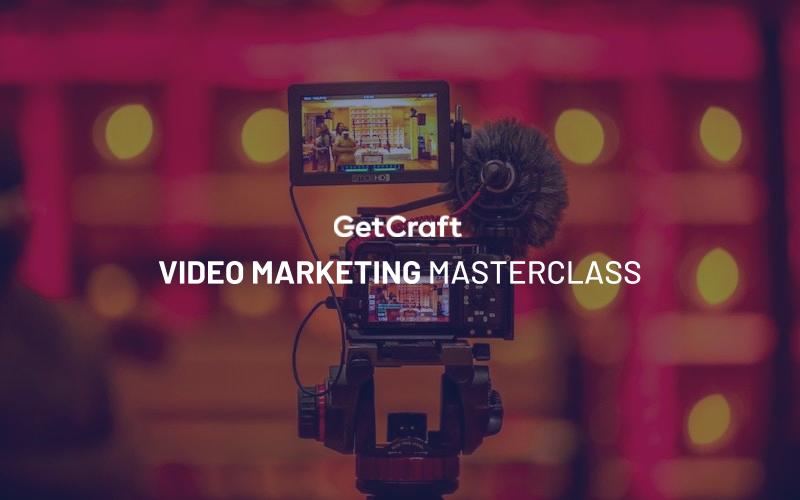 In this Video Marketing Masterclass, GetCraft's Group CEO, Patrick Searle further uncover the impact of Video Marketing on brands and goes into detail about how you can harness its unique power to grow your business.